The newest addition to the Explorer Ventures Fleet. 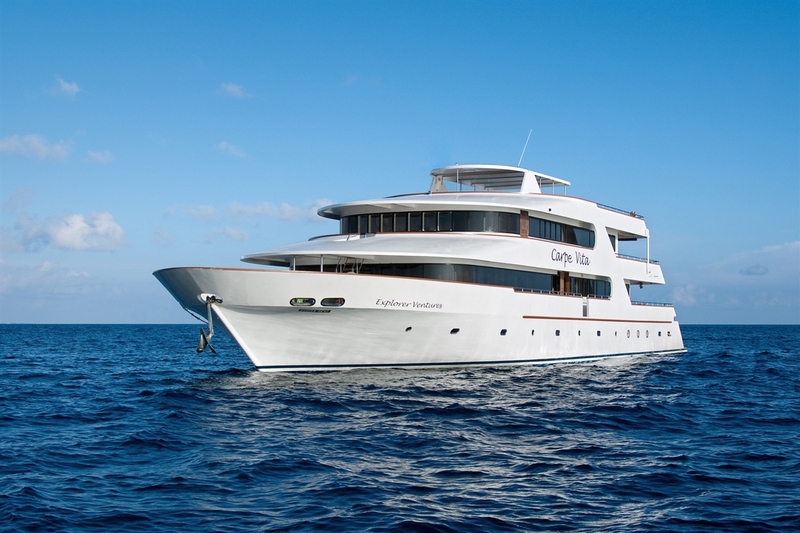 Carpe Vita is the newest addition to the Explorer Ventures Fleet. 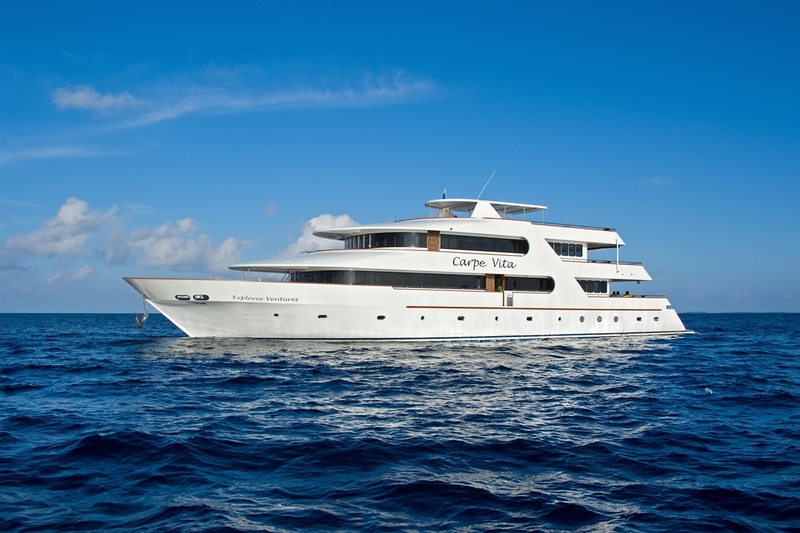 The Carpe Vita Explorer started her first voyage on Feb. 27, 2011 and allows you to explore the Maldives in a luxury motor safari yacht. 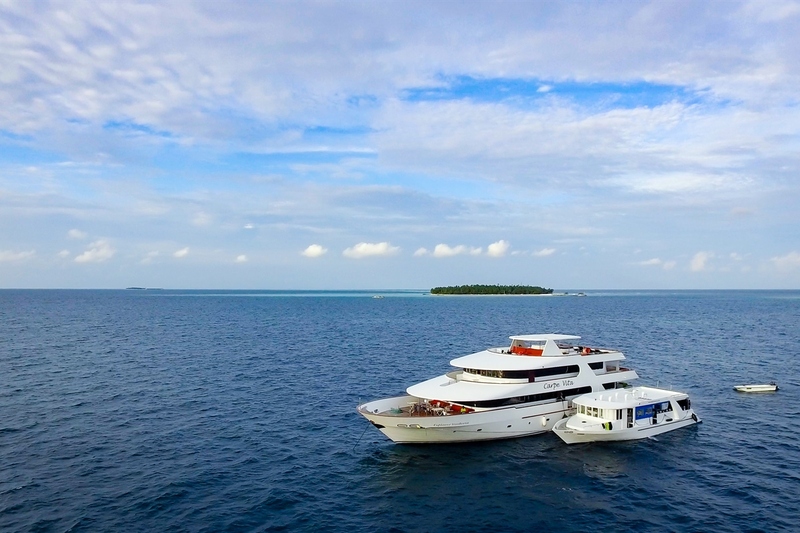 One of the Maldives premier liveaboards, the Carpe Vita is the newest edition to the Explorer Ventures ever expanding fleet. Step aboard and you will see the attention to detail that has gone into the making of this great and modern boat. 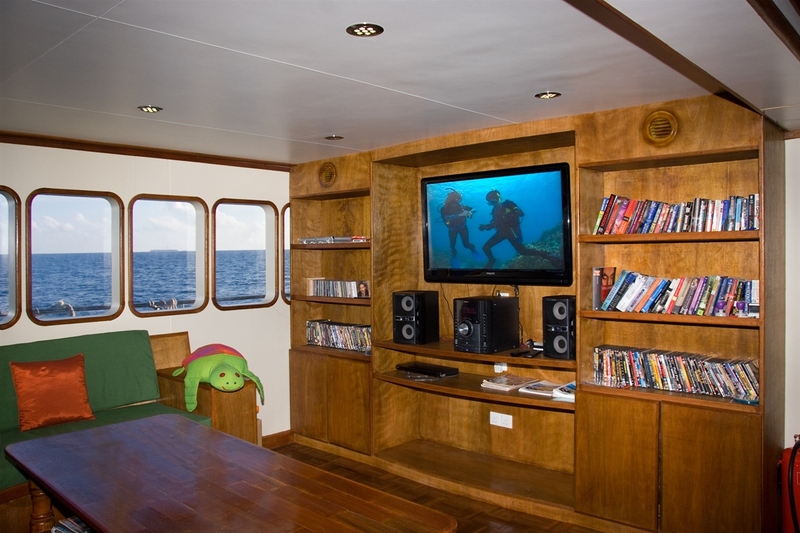 Built in 2010, the Carpe Vita is a 38 metre wooden hull purpose built liveaboard along with her 20 metre custom built matching diving “dhoni”. 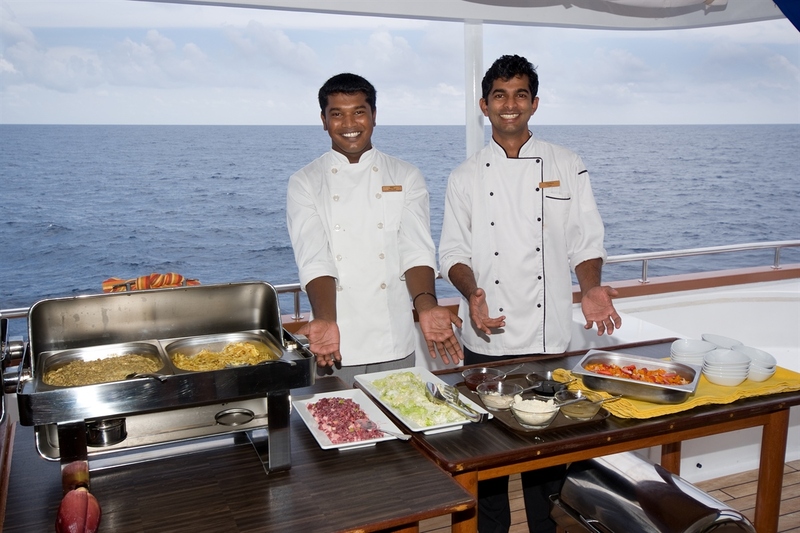 Meals on board the Carpe Vita are served in a semi buffet style and prepared by the fine dining chef. 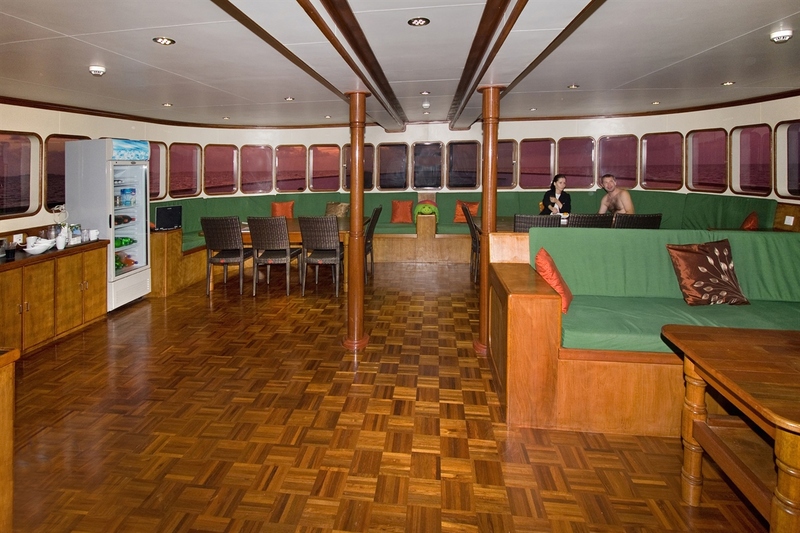 The large main deck is where the air conditioned lounge, restaurant area and buffet table is located along with the library, camera table and business centre. There is a comfortable sitting area with plug points for laptops as well as a music system, TV/DVD and MP3 player for entertainment. 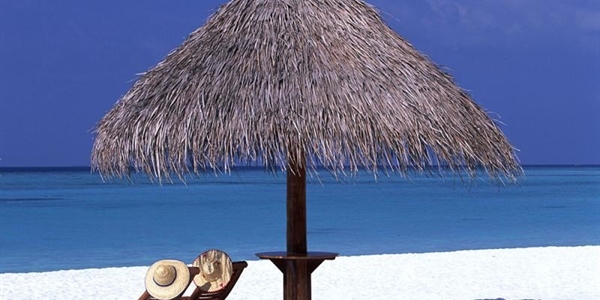 The platform at the back with 2 freshwater showers is located near an outdoor sitting area with comfortable cushions where you can take in the beautiful colours of the Indian Ocean. 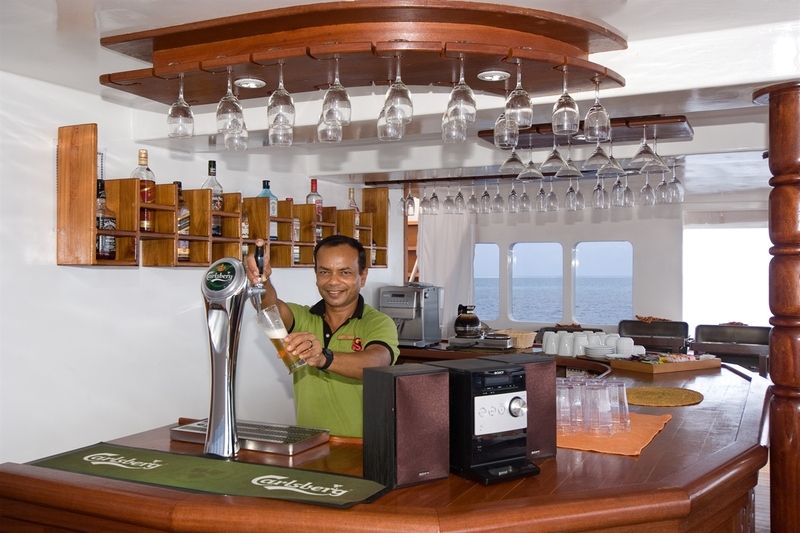 On the upper deck you will find the 2 spacious suites along with the main open air dining area and bar. 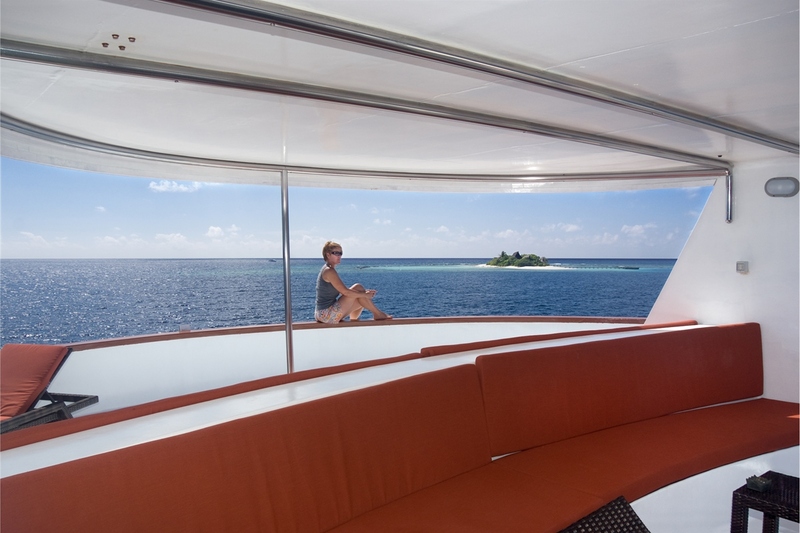 The outside sofa seating area in front of the bridge also offers fabulous views of the clear blue seas. 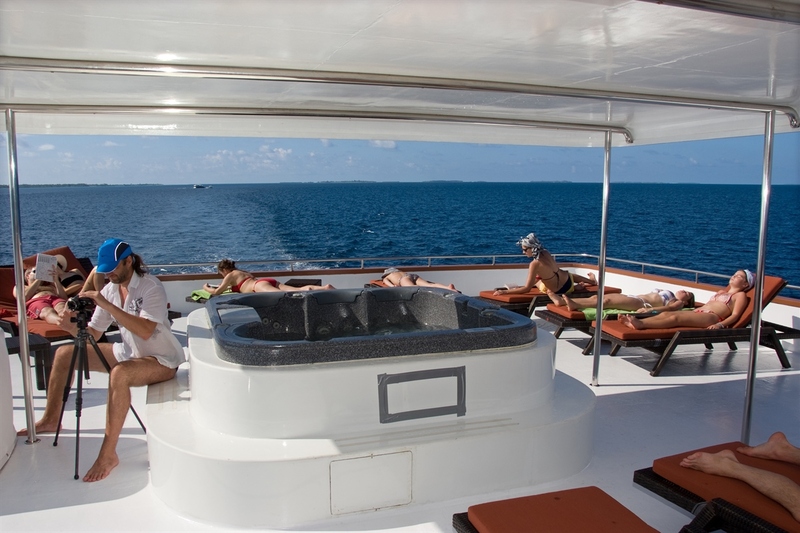 The sundeck chairs and hot tub are perfect for a relaxing evening after a hard day’s diving. 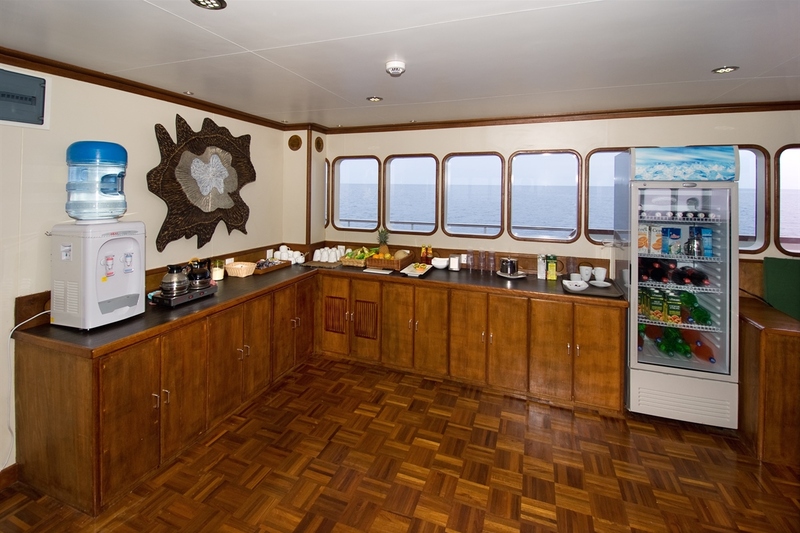 The Carpe Vita comfortably accommodates 20 passengers in its 10 large cabins. 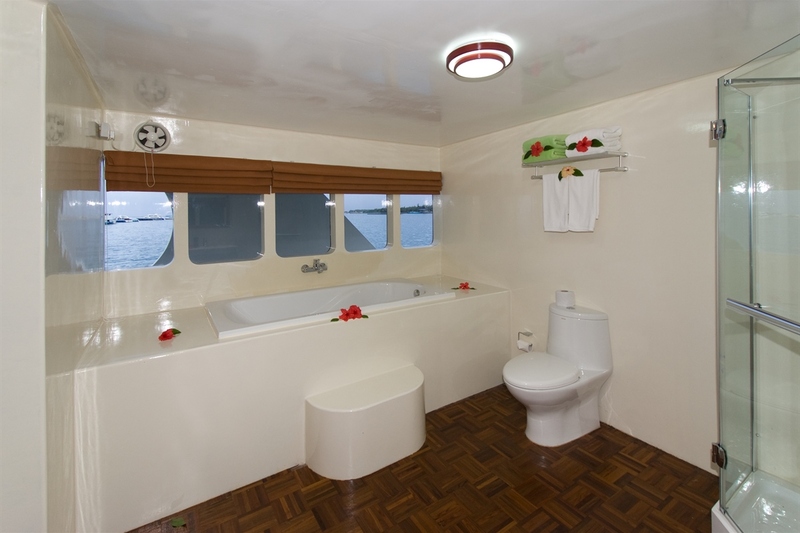 All 6 standard cabins have a queen size bed and a single bed, individually controlled air conditioning, safety boxes, en-suites, TV/DVD players, closet and a port window. The cabin doors have sea creature names rather than a number. 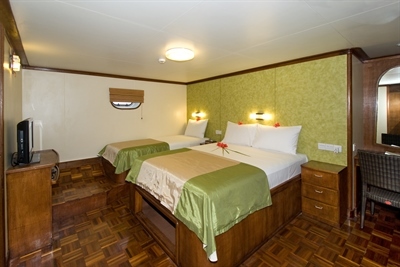 The 2 superior cabins come with a king size bed which can be separated into 2 single beds, a large window and the same amenities as the standard cabin. 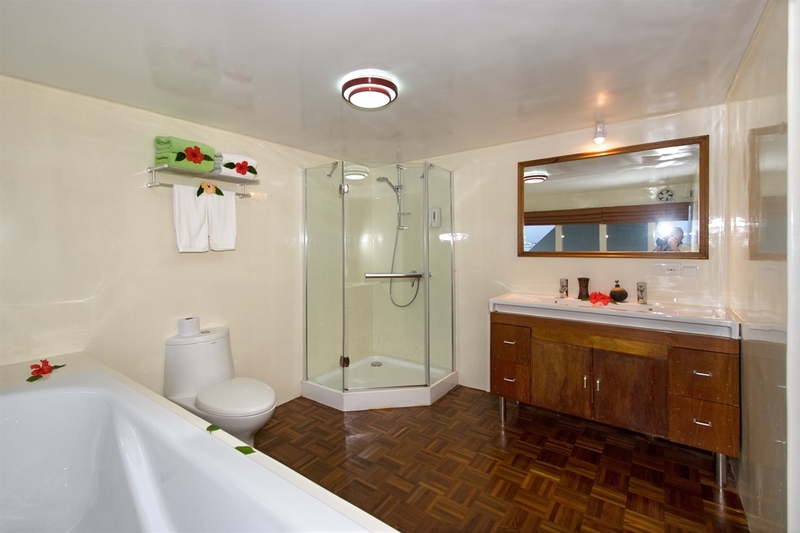 The 2 spacious suites have a Californian king size bed which can be separated into 2 super single beds, windows throughout the side of the cabin, dual sink in bathroom, bath tub and separate shower, two closets and modern amenities. 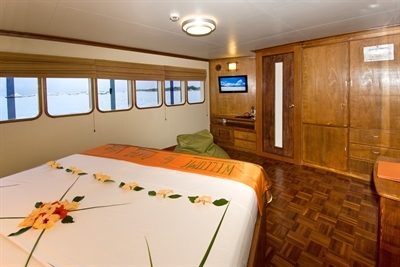 The lower deck staterooms have one queen bed and one twin bed and also have a desk with chair, a dresser and port holes. The upper deck features 2 VIP suites with either a king bed or 2 super single beds. They also have a sitting areas, large windows, a desk and chair and 2 hanging closets. 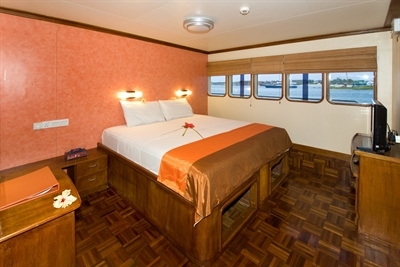 The two main deck staterooms each have either a king bed or 2 super single beds. A desk and chair are also provided alongside a dresser, hanging closet and large windows. 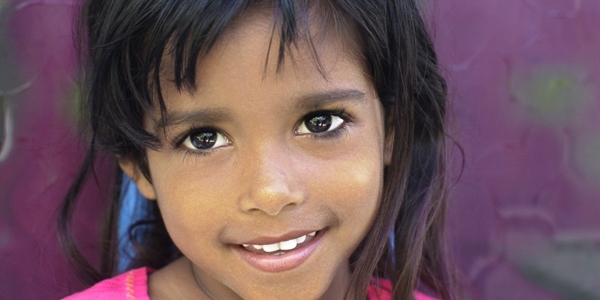 Green tax - $6 pp from November 2015. 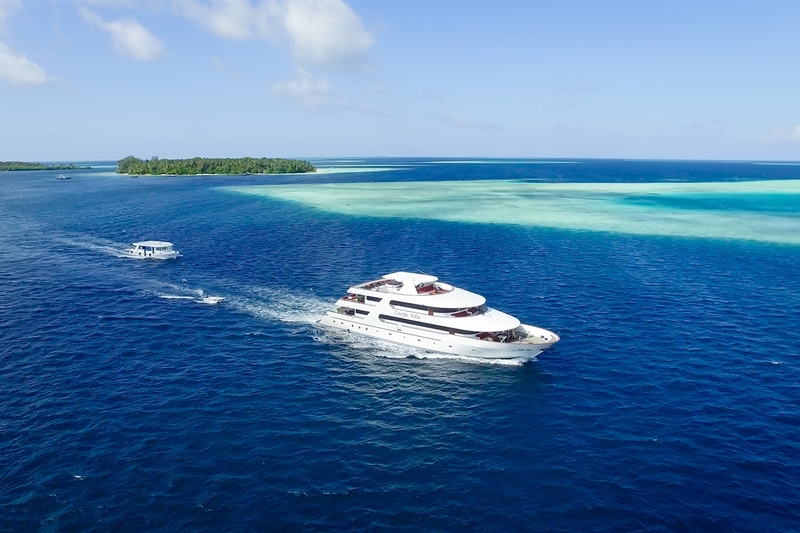 From November through to April she cruises around the North & South Male & Ari Atolls lion fish, anemone fish, octopus as well as different types of moray eels and pelagic encounters. 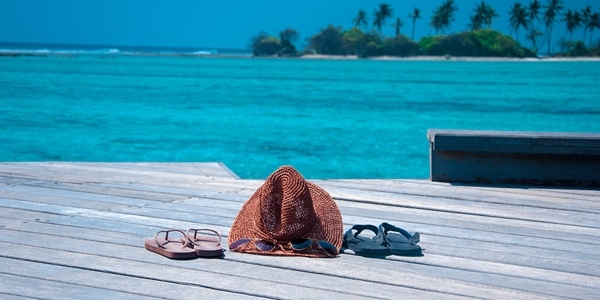 The Carpe Vita offers 7, 10 and 11 night itineraries with different routes to suit different seasons of the year. 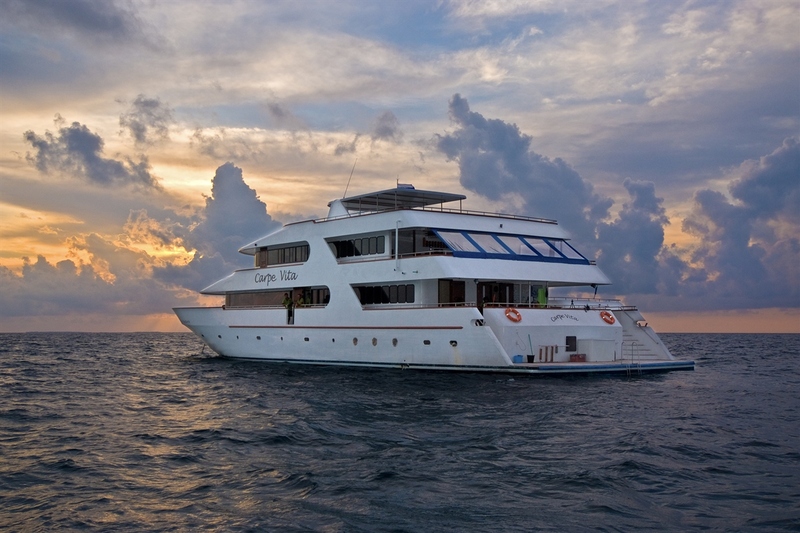 From November through to April she cruises around the North & South Male & Ari Atolls. 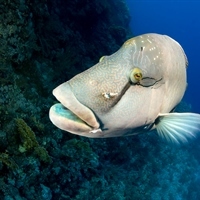 The reefs of the Maldives are teeming with life and divers encounter many different fish species. There are lion fish, anemone fish, octopus as well as different types of moray eels. 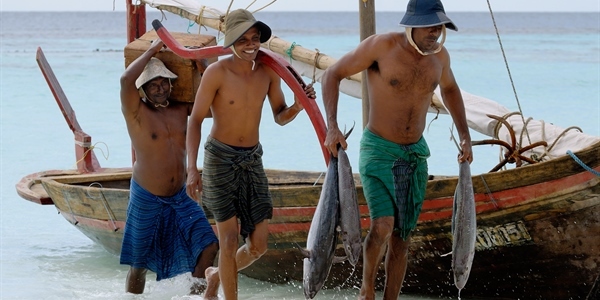 The Maldives are known for close pelagic encounters that are often seen in the clear blue waters. 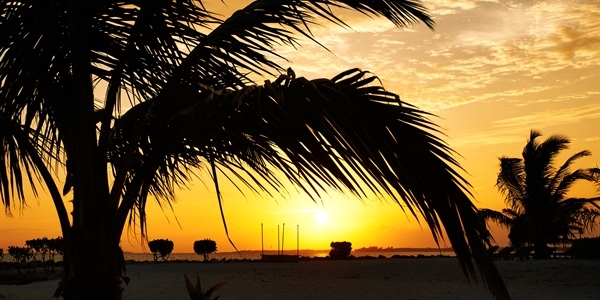 Both cruises will take you to the most popular dive sites where whale sharks, mantas and dolphins are regularly seen with sea turtles on almost every dive. 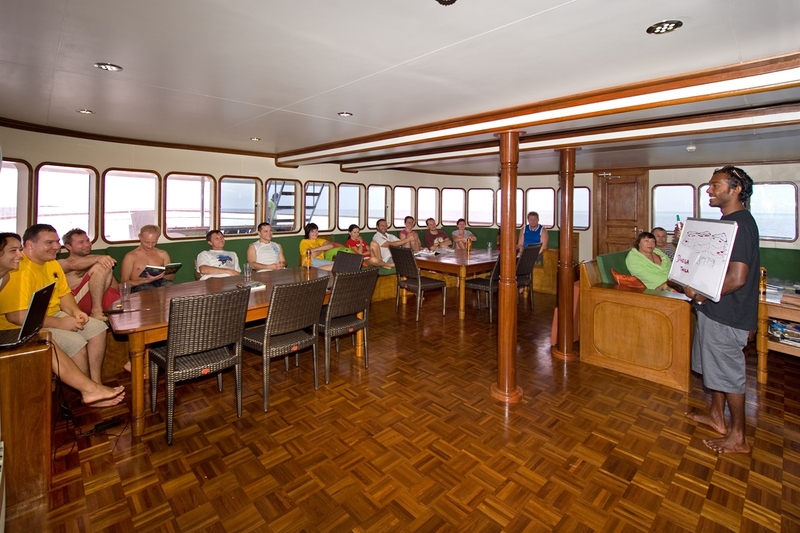 Please note:All liveaboard itineraries are weather dependent and may be amended to suit local conditions. 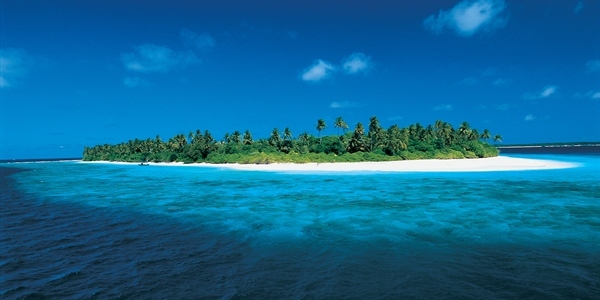 These are merely sample itineraries as you will find out the exact dive sites on arrival (weather dependant). 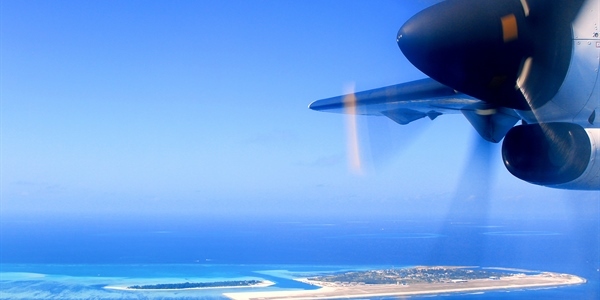 North Male Atoll and Ari Atoll, as well as Baa and Raa Atolls, not only are you likely to see Mantas, Sharks and Whale sharks but there is a good possibility for spotting Hammerhead sharks as well. 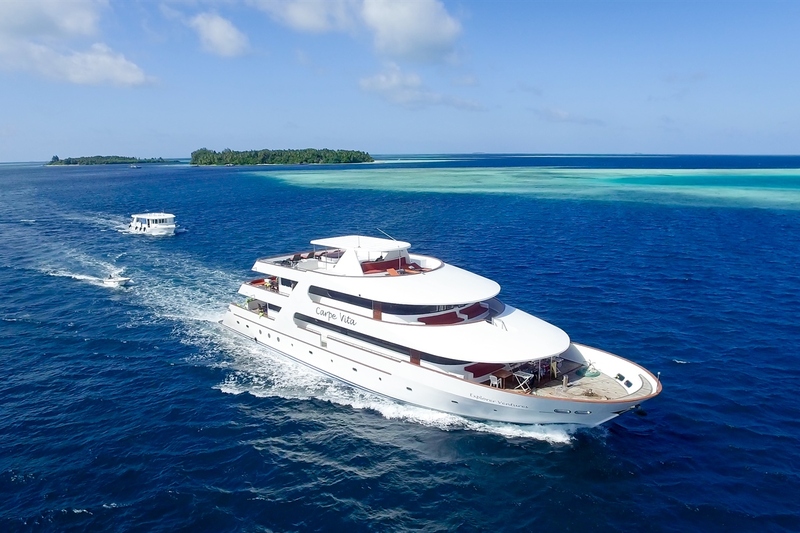 This cruise will take you to the most popular dive sites from May through to October in North Male Atoll and Ari Atoll, as well as Baa and Raa Atolls, weather conditions permitting of course. Not only are you likely to see Mantas, Sharks and Whale sharks but there is a good possibility for spotting Hammerhead sharks as well. 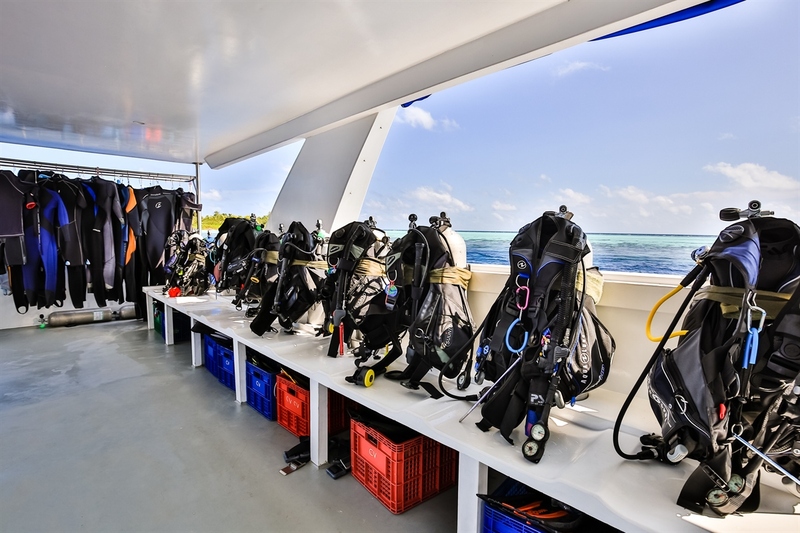 The dive sites in Raa Atoll are out of this world and you'll be amazed when you see the spectrum of colourful fish and marine life including whales and dolphins. 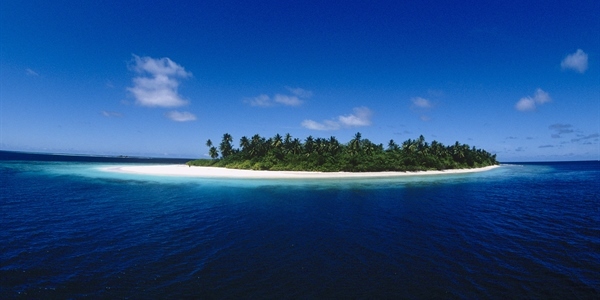 Please note:These are merely sample itineraries, you will find out the exact dive sites on arrival (weather dependant). 40 meters long and a 11 meter beam. 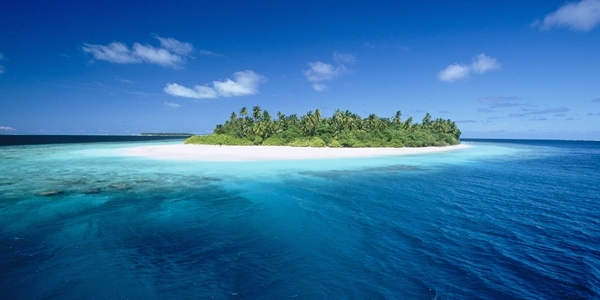 Diving is from a “dhoni” with ample space for all divers, cameras and equipment. 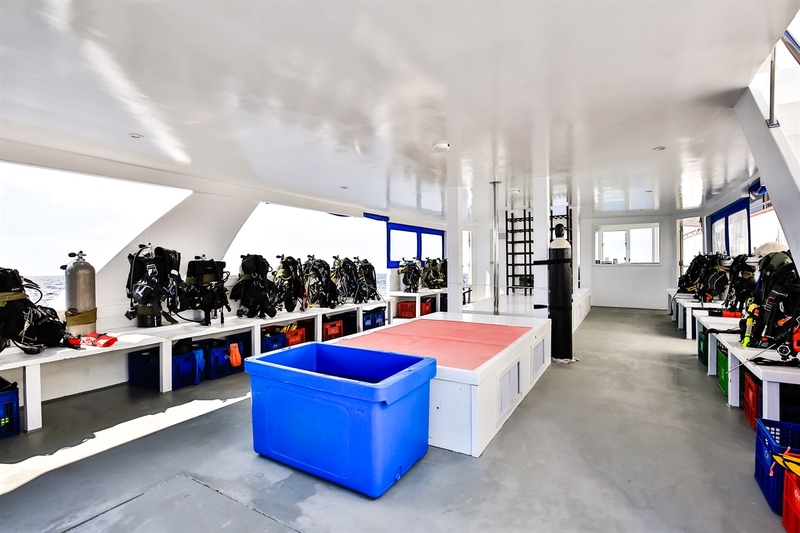 The dive deck has a separate camera and wetsuit rinse tanks and 2 hot water showers. 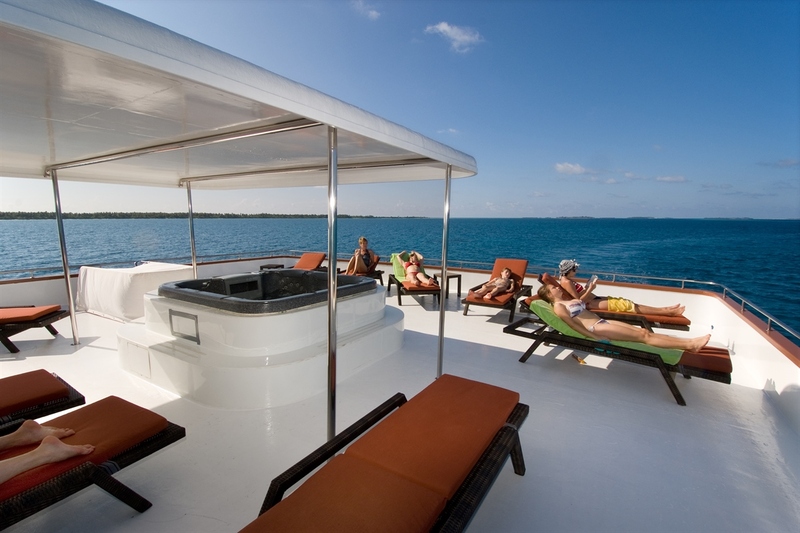 The equipment rental price listed above is per person per day based on 7 night charters. 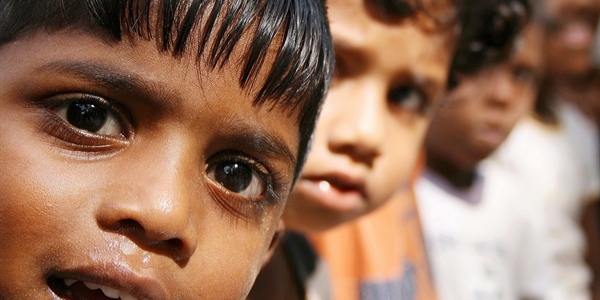 The equipment needs to be pre booked in advance. 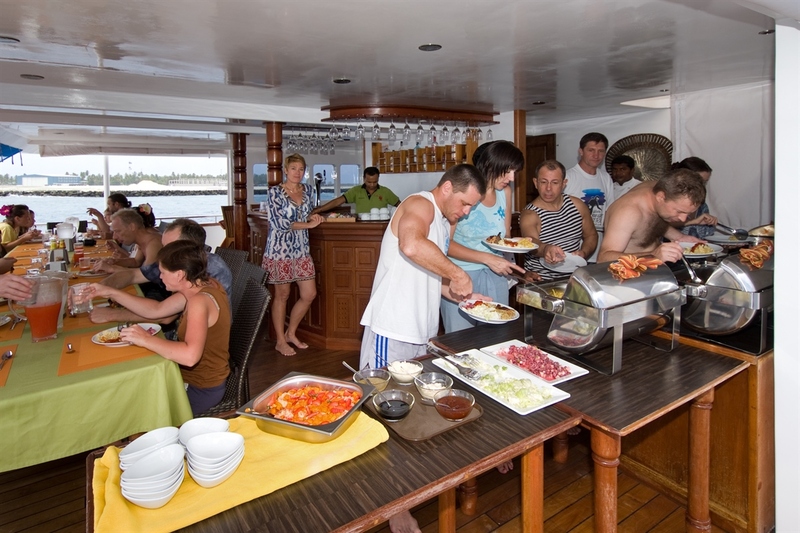 The Carpa Vita is an excellent Liveaboard boat, which is run by an excellent, enthusiastic and helpful crew who’s only job it seems is to make your holiday one to remember. The accommodation aboard the Carpa Vita is to a very high standard, the ladies might want a hair dryer, but everything else is there. 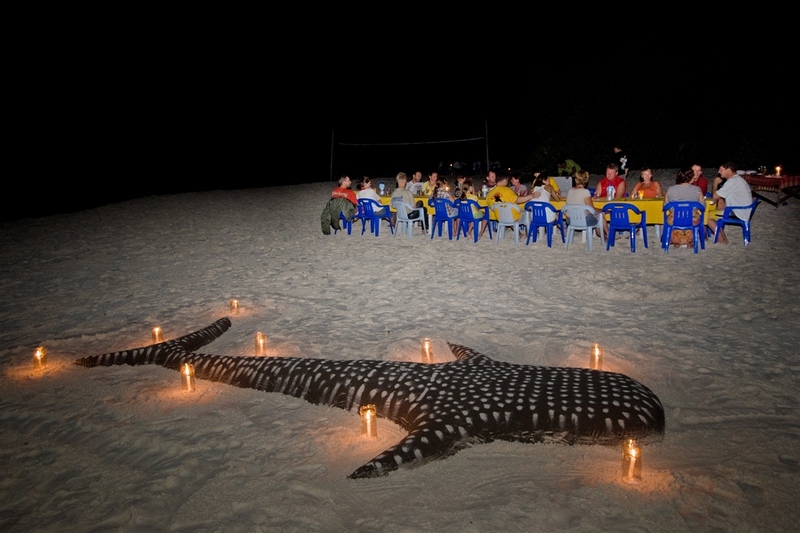 As for the diving, well, I got what I paid for, Manta’s, Whalesharks, Sharks, Macro life and everything in between. 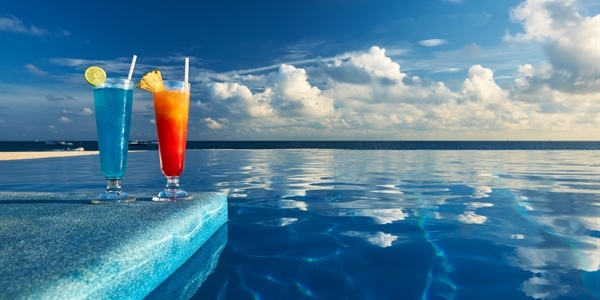 With a water temperature of between 29-30 deg. C I was never cold and with up to four dives a day (most days) I got to see a lot. If diving is your first love then the Carpa Vita has to be your first choice, it’s eat, dive, eat dive, eat dive, eat dive and sleep. 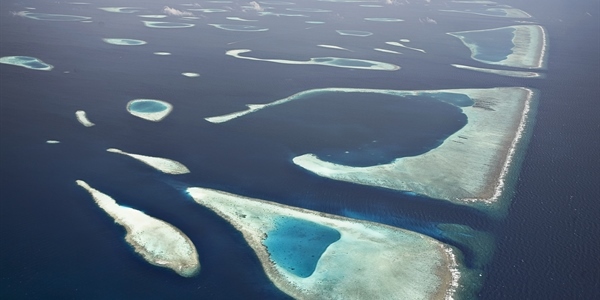 A Protected Marine Area, this offers one of the best-known dives in the Maldives. 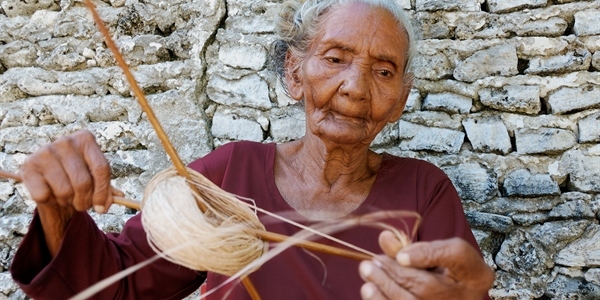 There is a remarkable variety of marine life on the thila, including grey reef sharks, white tip sharks, turtles, stonefish, frogfish, zebra morays, batfish and many, many more species. At the edge of the thila, where there is a large coral overhang full of bright orange Tubastrea corals.The top of the rock, at 15m (50ft), is covered in colourful soft corals. The vertical side of the rock drops down to the atoll plate at 40m (130ft). In this channel between the satellite rock and the thila, grey reef sharks often patrol and we have seen guitar shark here on a number of occasions. The topography here is quite complex. The thila is divided into four large coral heads, of varying sizes, that sit on a plateau rising from 40m (130ft) to 12m (40ft). 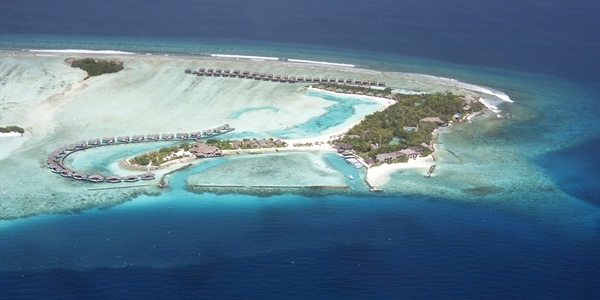 The thila is no more than 100m (110yd) in diameter, and you can swim around the whole site in a single dive. Each of the blocks is undercut from 15m (50ft) to 25m (80ft) with superb caves jammed full of soft corals, gorgonians and whip corals. 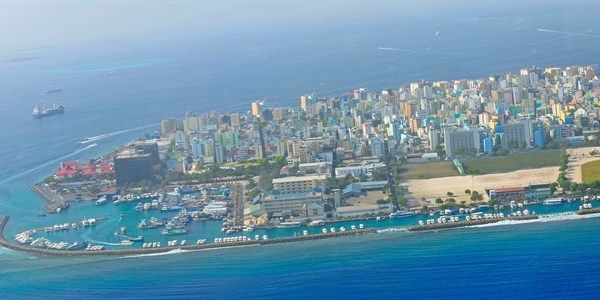 Embudhoo Express is located on the south side of the Channel, entering South Male’ Atoll facing Emboodhoo Island. 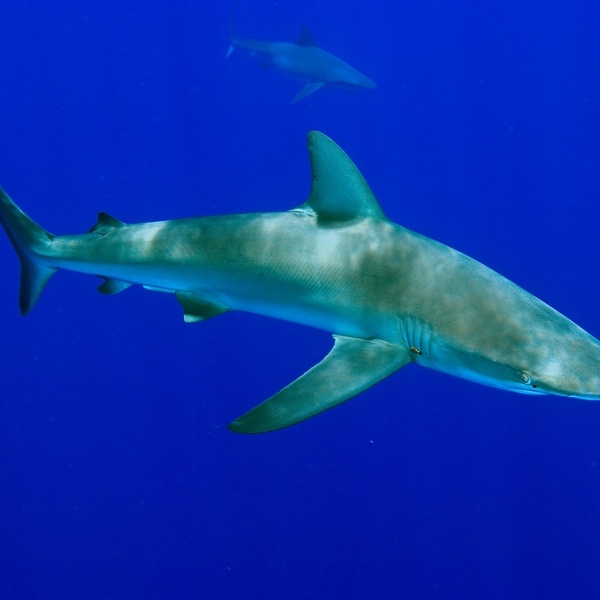 It is one of the most exciting channel dives, while crossing the channel with an ingoing current there is 100% grantee that you would encounter white tip sharks followed by Grey Reef Sharks. Schools of Big eye travelly and barracuda are very common not to mention the hunting tunas. 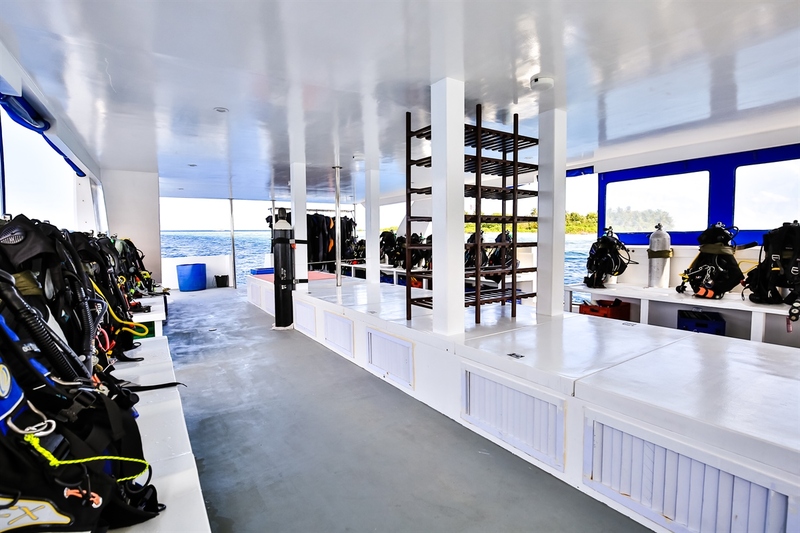 The site is recommended for advanced divers with good drift diving capabilities, the idea of the dive is to start the dive on the reef close to the corner towards the channel. While drifting with the current towards the corner divers should keep a distance from the corner and move away to the edge of the drop off; the idea is to keep the drop off as a reference and to drift with the current, and to cross the channel towards the Thila. Once at the Thila you may keep the right hand shoulder to the Thila and drift in. 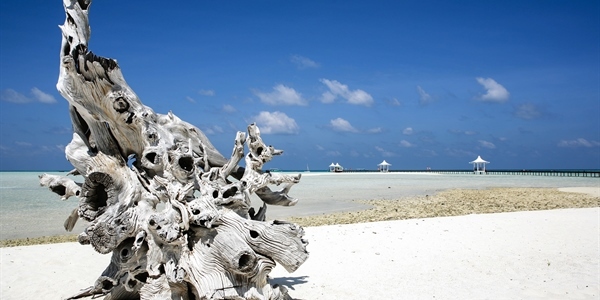 The Thila itself has lots of marine life on it including Giant sea fans under the overhangs and with lots of butterfly fish and oriental sweet lips. This dive site can be easily done with a small ingoing current but the pelagic of course won’t be as present as while a good ingoing stream. 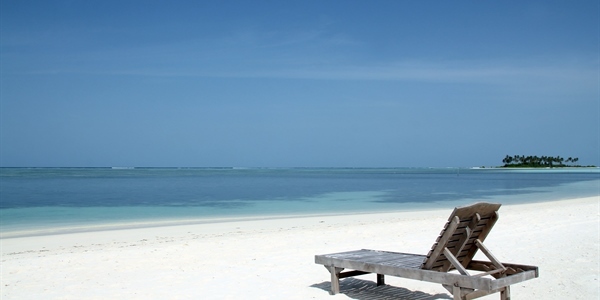 To see the sharks you would at least need a medium ingoing current making the site an adrenaline rush and crave to the return to dive here once more. 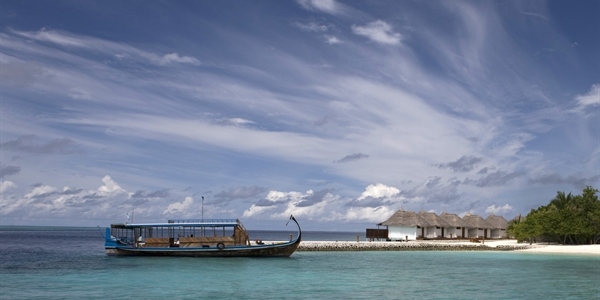 Two hours of boat trip in the southwest of Velidhu is Maalhos Thila, otherwise known as "Blue Caves". 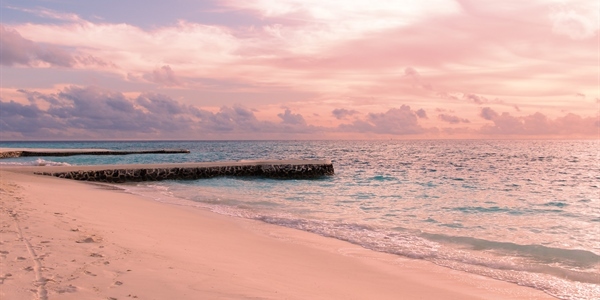 This is really one of the best dive sites in the Maldives! Plenty of caves and overhangs in the south part (20-30m) and the soft corals are overgrowing all! It looks like a huge cake with white and pink whip! The ceilings are covered in soft corals in a mixture of colours, mostly white but also blue and violet - the decorated caves make a surreal back drop for underwater photographers. In the south there are a few big blocks 20m apart of the main reef. 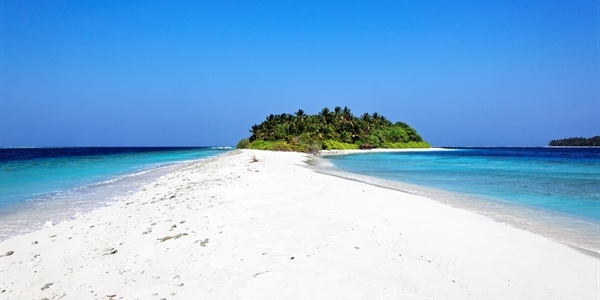 Those huge caverns are among the largest and the nicest of all the Maldives tourists’ atolls. 2 big caves close to one another are just 50m from the corner, one at 20m, and the other one at 16, the latest one is 70m long and has a curly overhang. Inside the pass you come to one cave at about 10m with a hole going all the way to the top reef at 5m. With a torch it is even better. Inside the caves, we will see yellow sponges, seafans, blue soft coral, small tube corals and often giant morays, as well as squirrelfish, and many groupers. Along the reef we should see clown triggerfish, Napoleon, sweetlips, and angelfish, and this is a great site to spot many turtles, especially green turtles. 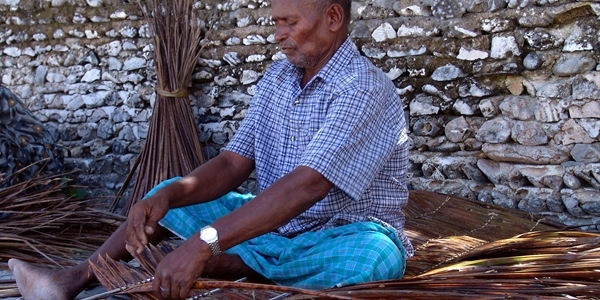 The Guraidhoo Corner lies on the east side of the South Male’ Atoll, outside of the reef. 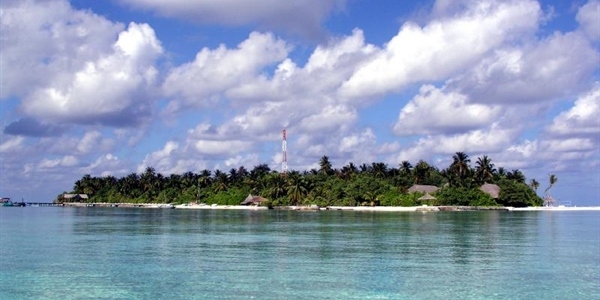 Nearby islands are Losfushi, Guraidhoo and Kandooma. On the edges of the channel, at depths ranging from 25 to 30 meters, you will have the best chances to observe great many grey reef sharks, local school of eagle rays, large hammerhead sharks, whale sharks and. 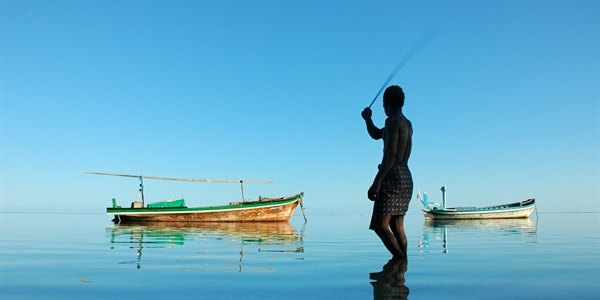 Guraidhoo Corner is also home to large schools of oriental sweetlips, bannerfish and large black-and-white striped snappers. Christmas Tree Rock is a dive site that has a large pinnacle in a shape of a Christmas tree. 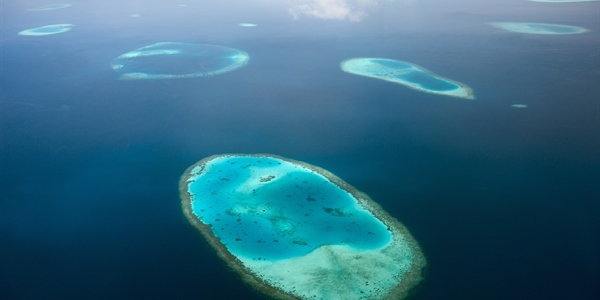 It is composed of plateaus, ledges, an arrow-shaped rock, swim-throughs and magnificent coral reefs. 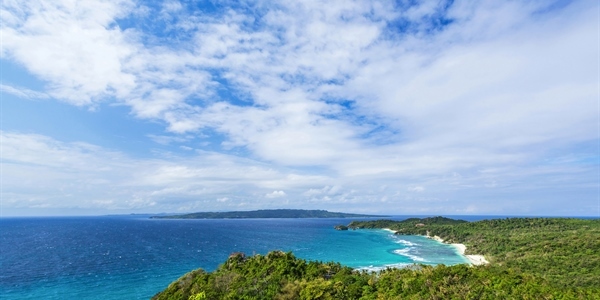 This dive site shelters a variety of species living between various types of soft and hard corals, colorful sponges, gorgonians and purple fans. 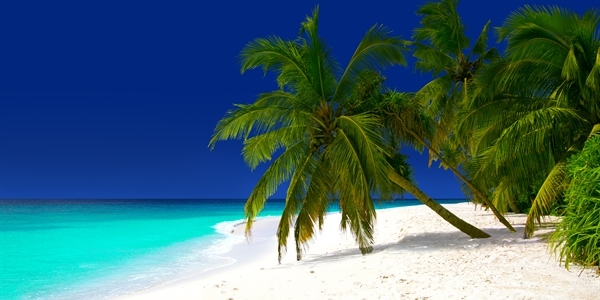 It is easy to spot whitetip reef sharks, stingrays, midnight parrotfish, grouper, and wrasses. Other fish include blennies, yellow-lined snapper, basslets, trumpetfish, and dottybacks. Eagle Rays Soldier fish, Blue-Lined Snapper, Nurse Shark, White tip Shark Leopard, Guitar Shark and Stingrays can be expected to be seen here. The top of the reef is 10-15 feet (3-5 meters) deep. Expect nudibranchs, and redtoothed triggerfish with their distinctive red teeth that look like incisors. As you navigate the reef’s long crack, you might see a nocturnal nurse shark having a snooze.